Hiscox Re, the reinsurance underwriting arm of Bermuda-headquartered, London-listed re/insurance group Hiscox, has appointed a chief underwriting officer to help it navigate the changes brought about by new capital entering the market. Hiscox Re has appointed Mike Krefta, an employee since 2003, as Chief Underwriting Officer for the reinsurance business, to lead its underwriting teams in London, Bermuda and Paris. Krefta has been with Hiscox since June 2003, working within both the retail and syndicate divisions of the firm. He first worked at Hiscox as a MI analyst in the retail team before moving into the catastrophe modelling team in the London Market as a Senior Analyst. In 2005, Krefta joined the Hiscox reinsurance team, underwriting on its global reinsurance account, before moving on to run Hiscox Syndicate 33’s North America and Caribbean account in 2012. In 2013, Krefta was appointed Director of Non Marine Underwriting in London for Hiscox Re. In the new CUO role, Krefta will be tasked with the formation of the Hiscox Re underwriting strategy. Based in Hiscox’s London office, Krefta will report to Jeremy Pinchin, CEO of Hiscox Re. 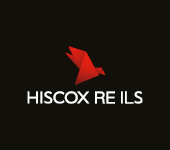 As a reinsurer with a property catastrophe focus, Hiscox Re is exposed to the softening reinsurance rate environment and the alternative capital trends. Hiscox Re already manages third-party reinsurance capital in its recently launched Kiskadee Investment Management unit but as it builds out its reinsurance team it is constantly trying to best-navigate the changing market dynamic.